The TV film series may be over, but a collection of companion items for The Blues series have now flooded the market. In all, 25 CDs with nearly 500 songs have been released. One of the most popular will be Martin Scorsese Presents The Best Of The Blues (UTV Records), which contains recordings made between 1927 and 2003. For 76 minutes, listeners experience a random sampling of the music and artists featured in the seven movies. It isn’t necessarily the best that the blues has to offer. This CD is a musical journey that closely parallels the film’s voyages and themes. As per the liner notes, ‘blues never came in a single shade, sound or gender.’ Thus, you explore the great Delta bluesmen, Chicago’s heyday, the British invasion, rock and roll and recreated blues classics via contemporary pop’s biggest stars. At times, the journey advances too fast (jumping from 1936 to 1954), gets stuck in a certain era (the '60s) and does not give due justice to certain decades ('70s and '80s). Many of the artists that appear on this collection are part of the blues pantheon. Don’t forget to honor the backing musicians, including Jody Williams, Willie Dixon, Otis Spann, Jimmy Ray Johnson and Andrew Love, among countless others. Folklore surrounds Robert Johnson’s "Cross Roads Blues," while Son House’s brilliance is rediscovered on "Death Letter Blues." Scenes from the movies will instantly come to mind upon hearing Skip James and Bessie Smith. Etta James displays Muscle Shoals in its heyday with an emphasis on vocals and the groove. B.B. King delivers the quintessential recording on "The Thrill Is Gone." Surely those who heard Eric Clapton’s "All Your Love" realized they were experiencing something new which was bound for glory. Listen again and hear the blues change music as we knew it. Jimi Hendrix expands the blues’ audience on "Red House." Chuck D states, ‘Hendrix put the blues on steroids.’ If so, modern master Keb’ Mo’ puts Delta blues on a well-balanced diet on "Am I Wrong." One of the series’ most prominent artists, Blind Willie Johnson, and the genre’s greatest contributing city, Memphis, are completely omitted. The blues’ influence on rock music is not ignored but too many rockers appear on this disc. 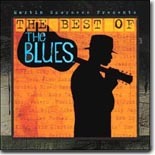 The CD exhibits the qualities that makes the blues so relevant in any era. They include: expressing inner feelings, being unpretentious, outbursts of emotion, painful truth and hope for a better tomorrow. If you can’t relate to the blues, then you are just an illusion. Most of the material has previously been released. Thus, the disc doesn’t offer much to those already devoted to the riches of blues. It is, however, a notable overview of blues history and a powerful marketing tool for The Blues companion items. Blues newcomers who want a safe-keep of the series or simply want some blues in their collection will be thrilled. To this audience Scorsese states, ‘your life is about to change for the better.’ The blues pure-at-heart will do better seeking the CD box set, movie soundtracks or artist collections. For CDs and information, contact: www.pbs.org/theblues, www.thebluesonline.com, www.legacyrecordings.com, www.hip-o.com/blues, or www.yearoftheblues.org. Editor's note: Another review of this CD follows. Also aiming for a varied presentation of the blues, but much more rooted in tradition, is the compilation Classic Blues Vol. 2 from Smithsonian Folkways Recordings, which just came out, four months after the release of the similarly titled Classic Blues from Smithsonian Folkways Recordings. (In the rest of this paragraph, I’ll refer to these collections as “Volume 1” and “Volume 2.”) Together, these two records present 48 tunes culled from the massive and essential archives at the Smithsonian Institution; they are mostly culled from the recordings made for Moses Asch labels, mostly Folkways, from 1941 to 1994 – but most of these tracks were recorded in the 50’s and early 60’s. Moses Asch was a New York folk activist who recorded numerous folk and (generally acoustic) blues artists, usually without regard to the commercial potential (or lack thereof) of said artists. In addition to studio recordings, his labels issued many albums of field recordings. One such endeavor was the 1959 self-titled album by Lightnin’ Hopkins that re-launched his career after a few years away from the studios. Two tracks from that celebrated LP (one on each volume) are here, as well as songs by major names Big Bill Broonzy, Leadbelly and Josh White, Memphis Slim and Willie Dixon, Roosevelt Sykes and Little Brother Montgomery, Honeyboy Edwards and Son House, Sonny Terry and Brownie McGhee, etc. But there are also songs from obscure bluesmen such as William Carradine, a.k.a. Cat-Iron (on both albums), Warner Williams, Thomas McFarland, a.k.a. Barrelhouse Buck, Shortstuff Macon (on Volume 2) and K.C. Douglas (on Volume 1). The styles will range from vaudeville blues (Vera Hall is heard on Volume 1, Edith North Johnson on both albums) to electric blues (The Chambers Brothers have a track on each album). Barry Lee Pearson’s notes are informative and read well (though they will seem repetitive to those who have both albums); one has to regret the absence of session notes, although Pearson’s text solves this problem in a majority of cases. As a source of little treasures and rare performances, these albums are priceless; as a listening experience, their folkie quality and occasional raw sound may prove a bit tiresome. Still, anyone who is interested in the blues as a historical style rather than as a commercial sound owes it to himself to check out these collections. For more info, or to order any record in the Smithsonian Folkways archives, go to www.folkways.si.edu. For those of you who wondered if Robert Randolph and the Family Band could top last year’s Live At The Wetlands, wonder no more. The group’s follow-up effort on Warner Brothers, Unclassified, is surely one of the best recordings of any genre this year. Where their live CD focused on jams (six tracks in 70 minutes), Unclassified (Warner Brothers/Dare Records) is comprised of shorter songs with even more bite than previously. There are elements of blues, rock, pop, funk, gospel in the music, and a wonderful combination it is. As on the previous disc, Randolph’s pedal steel guitar is out-of-this-world fantastic and he continues to stretch the boundaries of this underrated instrument. Believe me, this ain’t your granddaddy’s pedal steel guitar by any means. The rhythm section, Randolph’s cousins Danyel Morgan (bass/vocals) and Marcus Randolph (drums), along with John Ginty on B-3 and piano, are the secret ingredient that makes this disc go. Ginty’s tasty B-3 and Randolph’s soaring pedal steel, combined with the cousins’ dead-on funk, brings to mind a collaboration between the Allmans and Funkadelic. Most of the song lyrics focus on gospel overtones (Randolph has received flak recently from his church for playing his music outside of the church, but continues to play in both settings), but they blend seamlessly with the driving funky music the band is playing. The opening track, “Going In The Right Direction,” would be a nice fit on the Top 40 station of your choice. The second track, “I Need More Love”, kicks off with a frantic bass run from Morgan and never relaxes until its conclusion. Other standout cuts include the instrumentals, “Squeeze” and “Calypso,” and while their attempts to slow down the pace are not as noteworthy as their upbeat tunes, they are nevertheless as good as or better than a lot of what passes for “hits” on the radio these days. If these guys keep on track, they will be one of the major players in music for the foreseeable future. This one is a definite must-have. Chuck Berry will always be considered one of the architects of rock & roll, but he did find time to cut the occasional blues tune, some of which are captured by MCA in their collection, Blues. Berry’s guitar is a signature sound in rock & roll, even today, and its tone is rooted deep in the blues. 16 songs that Berry waxed for Chess in the '50s and '60s are here, most of them featuring the inimitable Johnnie Johnson on the ivories, but with some notable guest stars including Hubert Sumlin, Matt “Guitar” Murphy and Willie Dixon. The majority of the tunes are covers of songs made famous by Muddy Waters (“I Just Want To Make Love To You,” with cheesy backing vocal), Jay McShann (“Confessin’ The Blues”), Charles Brown (a surprisingly good “Driftin’ Blues,” which shows Brown’s vocal influence on Berry), and Guitar Slim (“The Things That I Used To Do”). Berry’s own composition, “Wee Wee Hours,” a classic in its own right, was eclipsed by its A side on the single, which you might remember as “Maybelline.” This is one of Johnson’s best performances. Another standout was Berry’s cover of Big Maceo’s “Worried Life Blues,” though the lead was played by Murphy in his sublime style. A surprise is the instrumental, “Deep Feeling,” with Berry on steel guitar, where the blues influences really stand out. Fans of Berry’s familiar riff will recognize it on such tunes as “House of Blue Lights” and a rocking cover of “Down the Road Apiece.” Berry’s vocals were probably a little too sophisticated to compete with the likes of Muddy and the Wolf for the blues audience at that time, but he would have held his own. Luckily for us rock & roll fans, he opted for bigger and better things. Looking for something different that will make you smile and tap your toes? Well, The Bluff City Backsliders and their self-titled recording from Yellow Dog Records might have the remedy for what ails you. The Backsliders, out of Memphis, play acoustic blues with a taste of early jazz and old-time country, all the while sounding thoroughly modern in their approach. The instruments range from banjo, fiddle, mandolin, trombone, resonator guitar and piano, so it’s a very rootsy sound. Jason Freeman handles most of the vocals, and he sings in a flamboyant, rockabilly-style that is well-suited for the Backsliders’ sound. Another member of note is guitarist Mark Lemhouse, who also has an excellent release on Yellow Dog. The songs are all covers of tunes by such notables as Howlin’ Wolf (“.44 Blues“), Charley Patton (“Pony Blues), Blind Willie McTell (“Let Me Play With Your Yo-Yo”), and Sleepy John Estes (“Everybody Ought To Make A Change”). There are several tunes from Memphis legends W. C. Handy (“Careless Love”) and the Memphis Jug Band. All of the songs are taken at a relaxing tempo that’s guaranteed to make you tap your feet. This is a fine CD suitable for fans of old-time country and blues and more modern fare as well. Go to www.yellowdogrecords.com and check out this release as well as the rest of their great catalog. Shrimp City Slim is back with another great CD, this time recorded over a two-year period in various locations with his killer band. The CD, Highway 17, Lowcountry Blues: Live (Erwin Music). Shrimp City Slim (a.k.a. Gary Erwin) is a singer and piano player and wrote most of the songs on the disc, an entertaining set for sure. Like the title says, the disc is advertised as lowcountry blues, which Slim describes as “sunny, melodic, witty, sometimes swampy, and usually danceable. It’s blues on the beach.” Highlights of the set include the swampy “Lowcountry Mama,” the soulful “Hittin’ On You,” the lively opening track, “See Can I Find Me A Woman,” and the title track, which has a strong Chicago feel. Besides Slim on piano and vocals, the band includes Silent Eddie Phillips on guitar, John Etheridge on drums and backing vocals, and Chuck “The Cat” Morris, who blows some serious harp and contributes a couple of lead vocals. They keep things grooving and mesh so well together that you would never know that the disc was recorded over several different dates. This is a rock-solid disc and will make you want to learn more about the lowcountry blues sound. 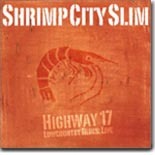 Go to www.amazon.com, www.cdbaby.com, or www.cdstreet.com to pick up your copy now, or visit Slim’s website, www.shrimpcityslim.com. It’ll sound great at your next party. Patrick Hazell, the Godfather of Iowa Blues, bills himself as “The One Man Band” and his music as “Midwestern Blues, Boogie, and Cornbelt Zydeco.” Intrigued? You should be. Hazell’s recent CD, Rollin’ In The Moonlight (Blue Rhythm Records) is a fine introduction to his talents. Hazell, from Iowa, plays keyboards, harmonica, and percussion with his feet, all at the same time. He’s considered to be a legend on the Iowa music scene and is a member of the Iowa Blues Hall of Fame. His repertoire consists of not only the music described above, but also jazz and R&B. He wrote 13 of the 14 tracks here, the only non-original being a cover of Lil Green’s “In The Dark.” This is not what you would ordinarily think of when you imagine a one-man band. He is the real deal, with well-composed songs and a relentless boogie beat on most of these tracks, along with some of the best harmonica you’ll hear on disc. In addition, he is an excellent keyboardist and his raspy vocals complement the music very well. It’s exhilarating to listen to and I have to imagine it’s even more exciting to see him in person. Go to Hazell’s website, www.patrickhazell.com and check him out. Last month, I reviewed Deacon John’s latest CD, Deacon John’s Jump Blues. I mentioned that there was an accompanying DVD with the disc, but that I had not seen it yet. Now that I have viewed it, I want to recommend it as strongly as I did the CD. Most of the songs are the same on the DVD as the CD, plus there are five or six additional tracks featured. Among the best of these is the opener, a cover of Professor Longhair’s “Big Chief,” with Henry Butler pounding away on the ivories. In all, four piano men are featured: Butler, Davell Crawford, Allen Toussaint (who does a beautiful solo version of “Lipstick Traces”) and Dr. John. They each show why the piano is the primary focus of most New Orleans Rhythm and Blues, particularly Butler, who only has two songs, but makes the most of them. However, the star of the show is the Deacon himself, with his solid vocals and his expert showmanship. He willingly shares the stage with the piano men and singer Teedy Boutté and saxophonist Amadee Castenell, who plays every solo like it might be his last. The DVD is beautifully filmed and the music sounds great. There are lots of cameos by New Orleans celebrities in the audience, such as Dave Bartholomew, Irma Thomas and even the family of Professor Longhair. For all you 'extra feature' junkies, there is also a 10-minute special, Behind-The-Scenes, with Deacon and the band rehearsing Ray Charles’ “Jumpin’ In The Morning,” and some interviews with Toussaint and Dr. John, along with a couple of audio tracks. All in all, if you have purchased the CD already, you owe it to yourself to find this DVD. This is as fine a tribute to New Orleans Rhythm and Blues as you’ll ever see. Not long ago a couple of fellow blues cronies of mine and I were having a couple of cold ones and discussing the music that we love so much, when I posed the question: “If you could go back in time and be anyone in blues history, who would you choose to be?” The usual array of legends were the answers I received along with a couple of odd looks along with “Who is he?” when I said I would choose Alan Lomax. For those of you who don’t know, Alan Lomax was the fellow who recorded scads of blues, folk and bluegrass artists for the Library Of Congress and was responsible for the first ever recordings of the immortal Woody Guthrie and Muddy Waters. The men and women he met, and at times lived with, along with the music he was witness to and recorded are the stuff dreams are made of. This particular recording, Blues In The Mississippi Night (Rounder) is a very informal look at three Mississippi Delta legends in their own time, Big Bill Broonzy, Memphis Slim and the original Sonny Boy Williamson. Lomax brought the three to New York City as part of the Midnight Special series of concerts he was producing at Town Hall in 1947 and got them into Decca’s recording studio. What you will find contained within is not just some great unrehearsed music but a fascinating, candid insight through the dialogue amongst them, into what inspired the blues and what it was like to live the life of not only a bluesman but as a person of color in the deep south and the hardships that came along with the territory. Lomax asked “Tell me what the blues is all about,” as these three gentlemen had lived the blues all their lives. It was the last time he opened his mouth for the next two hours as his question was answered with song and conversation. Memphis Slim’s crying rendition of “Life Is Like That” starts things off with his smooth piano amid Williamson adding some silky fills on harp. The three then begin discussing the origins and roots of the blues, with the conversation segueing into a spiritual entitled “Long Meter Hymn,” which is performed by an unknown congregation. This was added by Lomax along with other traditional African-American folks songs at a later date for illustrative purposes. “I Could Hear My Name Ringin” is next, with Williamson showing why he was the premier harmonica player of his time, accompanied only by Slim on piano for a tale of deceitful love. The trials and tribulations of the work/rock/levee/prison camps are discussed next, with Slim and Broonzy each singing bits and pieces of some of the tunes that pervaded such places. A stirring version of “Stackalee” have all three joining together for the best track on the album. “O’Berta” is another of Lomax’s field recordings done on Parchman Farm in Mississippi, performed by Bull and Group on vocal and hoes, as is “Murderer's Home” and “Don’t You Hear Po' Mother Callin.” Memphis Slim pulls some amazing but all too short piano riffs out of his pocket on “Slow Blues,” and then kicks things up a few hundred notches for “Fast Boogie,” a blazing workout that will make you sweat just from listening. A previously unreleased number from Bill Broonzy, “Black,Brown And White Blues,” pretty much sums up what the blues are really all about with its poignant lyrics that explore the color boundaries that once existed and still do in a few dark places in the world. When Slim, Broonzy and Williamson heard these recordings played back they begged Lomax to never tell anyone they made them because “You don’t understand, Alan. If these records came out on us, they’d take it out on our folks down home --- burn them out and Lord knows what else.” They all insisted that their identities be kept secret. Lomax agreed and used the recordings for broadcast on the BBC Network and issued these recording on United Artists records in 1959. But he never revealed the identities of the artists and disguised the location they were made until a 1990 reissue on Rykodisc. Blues In the Mississippi Night is not jam packed with music. On the contrary, the music serves as a backdrop for a history of the blues told by three men who actually lived it. Included are the original liner notes by Alan Lomax, along with the transcribed conversations that took place, as well as brief biographies of the three participants. With Congress declaring 2003 as the Year Of The Blues it was only fitting that this historic recording was once again reissued. Anyone who hears this insightful record and is a fan of recordings from the Blues’ golden age of the '20s and '30s will never hear them quite the same way again after hearing this. Fans of hard rocking Texas blues are going to love the latest record from Chris Duarte entitled Romp (Zoe/Rounder Records). Hailing from San Antonio Texas, Duarte moved to Austin when he was 16 and cut his teeth listening to and learning from other Austin legends like the Vaughan brothers, Denny Freeman and Derek O’Brien. Leading his own band since the early '90s, Duarte has incorporated a bit of jazz, funk and grunge into his work to give him his own unique style. Junior Kimbrough’s “Do The Romp” serves as the album’s title track, which Duarte describes as “that funky North Mississippi thing they’ve got going on,” and is metallic juke joint blues that assaults your senses with its screeching guitar work and thundering beat. Chris pays homage to Hendrix on “101,” the first of three instrumental numbers that borders on the psychedelic with its wild frenetic soloing. Fizzled relationships are the focus of “Fire’s Gone Out,” a funky strut that gives way to “Like Eric,” a pyrotechnic instrumental salute to fellow Austin-ite Eric Johnson that sizzles with intensity set against a fast shuffling backbeat. A tight haunting cover of Bob Dylan’s “One More Cup Of Coffee” allows Duarte to stretch his vocal pipes a bit before kicking things back into high gear on “Bb Blues,” a romping instrumental shuffle accented by Duarte’s slicing guitar .”Last Night,” has shades of Jim Morrison running rampant through its nine+ minutes running time, while “Mr. Neighbor” allows Chris’ admiration for the writing talents of Elvis Costello to peek through. Duarte wraps up with “Take It To The Lord,” a spiritually influenced number that wraps around a volcanic guitar solo. Chris Duarte is a great blues guitarist who is not afraid to try something different. While many critics have knocked his work for lack of direction, I’ve found it stimulatingly different as it’s not the same 12-bar blues rut that many artists fall into. This is a very good record from a gentleman that is breathing a new and different life into the genre while keeping a strong foothold in its roots. 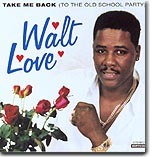 What a pleasant surprise is the new CD, Take Me Back (To The Old School Party) (Monkey Wrench Records), from Walt Love. After a brief intro by emcee Cadillac Jay Butler, Walt launches into the title song, "Take Me Back (To The Old School Party)," an old-fashioned song that mentions many cities I presume he had fond memories of and some of the singers he admires. One of those singers mentioned is Clarence Carter, and Walt does his best Clarence Carter chuckle. A fun song and one that you will want to come back to. It is followed by a very Tyrone Davis sounding "I Had To Change (She Threw A Monkey Wrench In My Game," a tune with a good hook that will stick in your mind. This is a remix off his equally fine Don't Go CD from 2000. At the opening of "Lord Knows I Do," with its spoken intro, Jerry Butler and his incredible "For Your Precious Love" immediately comes to mind; it has that same early '60s R&B sound. It sounds like slow dance time on prom night circa 1961. I'm a sucker for this kind of music. The fourth song, "Mr. Love," is his namesake song, and it too has a spoken intro and that evil Clarence Carter chuckle. " I Played the Fool" is a nice ballad with a spoken interlude, and should get some airplay. The sixth track, "I Really Need You," is Jerry Butler dead-on. This is a good thing as there were very few singers as soulful as Butler. "I Made Up My Mind" is a ballad about leaving a cheating woman, also with a very soulful spoken break. "If You Don't, Somebody Else Will" reprises the C.C. chuckle. The tenth song, "My Old Lady Left Me For My Girlfriend," is self explanatory, with a fine spoken break by his old lady this time. She says "...since you could be with her, I figured I could be with her too..." The excellent and topical "New Millennium Blues" sounds like Curtis Mayfield in his Superfly days. The CD ends with another reprise from his Don't Go CD, a social commentary song, "He Loves You," with its very Marvin Gaye-ish "What's Going On" message. This is a high quality release and it's apparent that a lot of TLC went into making it. You can obtain copies of this CD, and also his Don't Go CD, from Walt Love. His e-mail is newmillenniumblues2004@yahoo.com or write to him at P.O. Box 851566 Mobile, AL 36685. I will never forget the phenomenal keyboard performance of Jon Lord with Deep Purple on the House of Blue Light tour when I saw him play at Deep Purple's Detroit stop. On the DVD release, Live at the Basement (Thames/Thomson), the master plays organ alongside Australia's Hoochie Coochie Men, and introduces one of his stunning, baroque episodes into "Green Onions," turning the rock 'n' soul chestnut into a barnburner. Lord is very comfortable in the small club and talks to the audience before nearly every song, delivering many humorous anecdotes from his past with Deep Purple and more. This DVD of the Sydney concert includes, as a special feature, an Australian TV appearance by Lord and the group. Jimmy Barnes is on hand for three songs ("The Hoochie Coochie Man," "When a Blind Man Cries" and "12 Bar Blow Jam"), making those standout tracks. Other notable segments include the performances of "Strange Brew" and "The Money Doesn't Matter." It appears the mastering was not the best, leaving rather low volume, for instance, but this is overall an excellent concert DVD. Little Worlds (Columbia) is actually a three-CD concept album from the genius of Béla Fleck & The Flecktones. What I have here is a nine-song promotional sampler of the project, merely the shadow of the monument itself. What I hear is that Fleck stretches out in so many different directions, that the force is dissipated as sophisticated genre dabbling. Maybe we should just take this in small bites, such as the side dish serving I have. Even that is a complex blend of many different seasonings. There is a strong jazz flavor here, like the funky "Snatchin'" with excursions in klezmer soul ("Bill Mon") and a spirited Gaelic reel ("The Leaning Tower"). This is probably best though of as a constellation of songs spinning in space, each track is like visiting a special little planet, its own "little world." The lead instrument on Let's Cool One (Estrus Records), from the Iowa City instrumental combo The Diplomats of Solid Sound, is the Hammond B3 of Nate "Count" Basinger. Taking cues from Booker T. & The MGs and Medeski, Martin & Wood, this group swings it low and easy. The group calls its instro blend an "action soul sound" and, sped up to 45RPM, it could be the cop funk that is the soundtrack to your favorite '70s chase scene, while it is also a James Brown barnstormer minus the vocals and horn section. This is the hip kernel of rock 'n' soul. The Countdowns was a band that backed risqué R&B shouter André Williams. Brian Waters of The Countdowns is part of The Flash Express, on vocals and lead guitar, on Introducing the Dynamite Sound of The Flash Express (Hit It Now! Records). This disc is giving us some rock 'n' soul that would certainly earn Mr. Williams' blessing. Waters takes that R&B energy into a rock direction, ending up with an MC5-like finished product but more rhythmic. This is an exciting and energetic debut. While Danny Barnes may be obscure to you, you know his co-conspirators on Dirt on the Angel (Terminus Records). He has none other than Darol Anger on violins, jazz-folk guitar maestro Bill Frisell and Check Leavell (Rolling Stones, Allman Brothers) on piano and organ. The album is a great addition to modern Americana, with memorable songs like the self-deprecating "Life in the Country" and the biscuits-and-gravy bucolic ballad "Get It While You Can." The band also has immense fun with covers, like when this former Bad Livers banjoist leads the group through Beck's "Loser" and "Ooh La La" from The Faces. Covers aside, this album shows Barnes' songwriting has leapt up to a new tier since his previous Terminus release. There was a revival of Southern-tinged hard rock boogie that crested in the late '80s. Raging Slab rode that wave to major label success. Now, Raging Slab is a has-been and the sheen of the new-old angle on this has faded. Five Horse Johnson arose out of Toledo from the aftershocks of that revival to be premier members of a third wave of hard rock with a rootsy feel and pronounced bottom. On The Last Men on Earth (Small Stone), Five Horse Johnson fails to add some new twist to give this tired beast a much-needed shot in the arm. The greater number of guitar solos signal regression, not progression. However, I am being too hard on this album because taking it off the timeline, this is an excellent album of that big-sounding blues-rock that also speaks to us from the early ZZ Top albums and the early Black Crowes.